The National Institute of Open Schooling (NIOS) will conduct the D.El.Ed examination for around 13 lakh untrained in-service teachers from May 31 to June 2. NIOS has been assigned the responsibility by the Ministry of Human Resources Development (MHRD), Government of India for conduct of Diploma in Elementary Education (D.El.Ed.) examination for untrained in-service teachers. The meeting decided to install CCTVs and deploy adequate police personnel in the examination centres. “In order to maintain the sanctity of examination, the administration has to ensure that all the pre and post conduct activities are accomplished well in advance,” said Deputy Commissioner, Adil Khan while reviewing the preparedness. Khan requested cooperation from everyone in order to accomplish the tasks.He also warned of strict action against anyone caught adopting unfair means. The Deputy Commissioner directed the in-charge of the centres and invigilators to take stringent action against those found involved in unfair means or else the administration will initiate action against them. Authorised officers and magistrates will keep an eye on the activities at the centres. 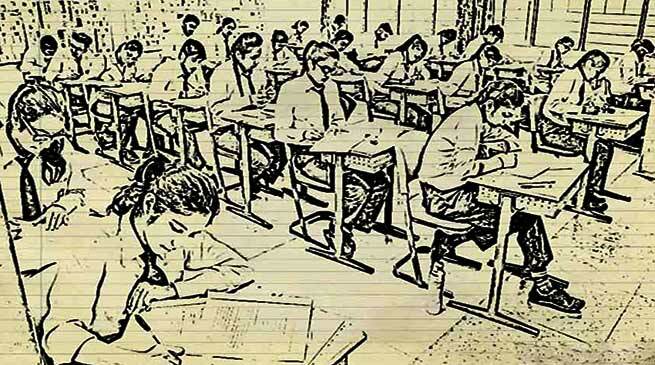 No mobile phone or any other electronic devices will be allowed in the examination centres. The in-charge of the centres have been asked to submit the details of invigilators. The meeting was attended, among others, by DDC, FR Laskar, ADC, Ruth Lienthang, SP, Mohneesh Mishra, Additional SP Jagadish Das, in-charges and coordinators of all the examination centres.